Trends aren’t limited to this fall’s shoes and your newest smartphone — your dentist in Mount Pleasant has seen a number of dental fads come and go, too. These trends can vary in both safety and effectiveness — like whitestrips for bleaching teeth (pretty safe, but not so effective) and tooth jewelry (not so safe). Keep reading to learn about which of the trends are OK and which you should ditch ASAP. Over the counter bleaching options have boomed in popularity over the past decade or so. Whitestrips are one-size-fits-all strips that hold bleaching gel up against the surface of your teeth. They have stuck around because they do provide some help lifting off stains — but it’s nothing compared to the results you can enjoy when you partner with a dentist. A professional teeth whitening treatment can brighten teeth by up to 8 shades in a single visit. Compare that to whitestrips, which promise stunning results but often fall short, and you’ll see that it’s worth the extra money for a smile that really dazzles. Conclusion: Over the counter whitening is usually safe and provides moderate results, but is usually not the best way to spend your money for a brighter smile. Many people think coconut oil pulling, which involves swishing coconut oil around your mouth for 10 to 15 minutes and then rinsing it out, can boost oral and overall health. A common practice of Ayurvedic medicine in South Asia, we started doing it in our part of the world thanks to the promise of cleaner, healthier teeth and gums. While there’s no real scientific evidence that oil pulling works, it’s hard to argue with a practice used by one of the world’s oldest medical systems. Conclusion: Keep oil pulling if you like it, just don’t expect it to make a dramatic or noticeable difference in your oral and overall health. It’s best to keep brushing and flossing, too. Beauty is in the eye of the beholder, and some people like the look of a small jewel adorning a front tooth or two. Tongue rings and lip piercings are also popular, of course. But dentists know that behind these fashion statements often lie chipped teeth, weak enamel, and possibly broken dental work. 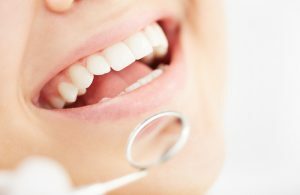 Dental and oral jewelry can put your otherwise healthy teeth at risk for a host of injuries, many that you may not notice until they have already grown into significant problems. Conclusion: If you really, really, really want to get dental jewelry or an oral piercing, talk to your dentist first — getting a checkup can help to make sure your teeth are strong and healthy enough to withstand potential damage. In general, anytime you want to do something that modifies your healthy mouth or dental structure, it’s a good idea to check with your dentist first! Dr. Robert C. Sikes is a trusted provider of general dentistry for Mount Pleasant friends and families of all ages. To learn more about his services or to schedule an appointment for yourself or a loved one, you are invited to contact the office at 903-572-9720.